If you ever wanted to perform the “Star-Spangled Banner” in front of a live audience, warm up those vocal chords. 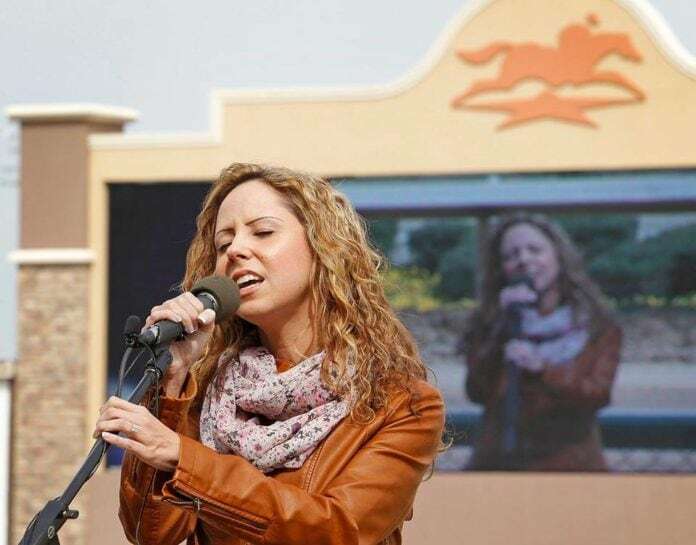 Lone Star Park will hold open auditions for anyone who is interested in singing the National Anthem before this season’s horse races. Auditions will be held March 5 from 11 a.m. to 7 p.m. at 1000 Lone Star Parkway in Grand Prairie. Tryouts will be held outdoors (weather permitting) just west of the Winner’s Circle. Enter through Parking Gate 5 off Lone Star Parkway and park in the Preferred Parking Lot. Then enter through the East Entrance of the Grandstand. During the auditions, each singer will have up to two minutes to perform the “Star-Spangled Banner” either a cappella or using an acoustic instrument. Lyrics must be memorized, and the rendition must have the traditional melody. Auditions are open to all individuals and performance groups. Performers under the age of 18 must be accompanied by a legal guardian. Participants are encouraged to bring a performance resume, if available. Anyone interested in singing the National Anthem for Lone Star Park must audition in-person. Those selected to perform will receive four (4) reserved seats and one (1) valet parking pass for live racing on their performance date. Lone Star Park prepares to kick off its 2019 Thoroughbred season April 18. The season is jam-packed, full of the kind of non-stop racing action that horse enthusiasts throughout North Texas have grown to love. During its 23rd season, slated from April 18 through July 21, Lone Star Park will also offer other events. These exciting, fun-filled experiences range from Extreme Racing of camels and ostriches to a Kentucky Derby celebration. The popular July 4th and 5th Lone Stars & Stripes Fireworks Salute will also return this year. Last but not least, a fur-tastic canine event titled “Lone Star Bark” promises fun for all the family. For more information, a schedule of events and admission prices, visit LoneStarPark.com or call (800) 795-RACE (7223). Tickets go on sale March 18.